Ontario is my home province so I’m a bit biased when I say that I think it’s one of the best places to visit in Canada. I grew up in the Ottawa Valley and currently call Pembroke my home. I’ve lived all across Canada throughout my adult life, but somehow I keep coming back to the valley. I’m here now and I plan to stay. I recently shared The Ultimate Nova Scotia Travel Bucket List with my top destination picks and now I’m doing the same for Ontario. I know there are a TON I missed, but these locations are good spots to start with on your visit to Ontario. 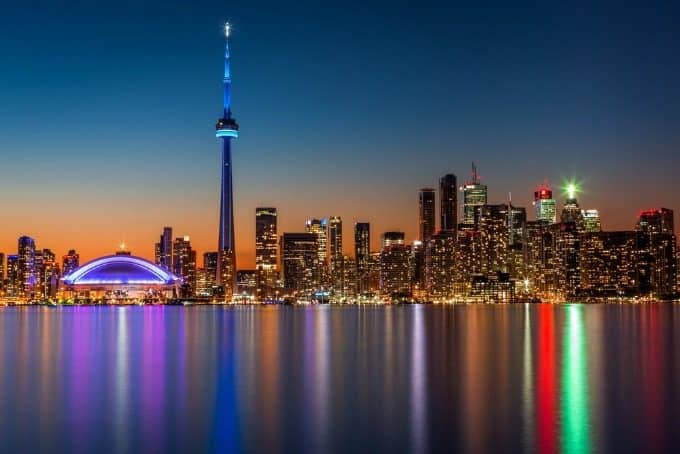 Ontario is known for being the second largest province in Canada, second only to Quebec. Toronto is the capital city, and the capital of Canada, Ottawa, is located in Ontario as well. What the travel guides don’t teach you is how to enjoy Ontario in a way you can only do by visiting and seeing for yourself! 1. 1000 Islands. World-class fishing and diving attract visitors to 1000 Islands from around the world. 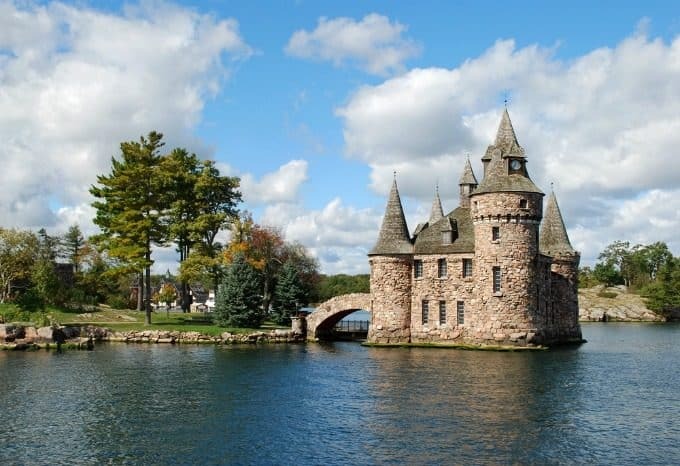 During your visit, you can see castles, lighthouses, museums, and more. Enjoy on-the-water dining while taking in the breathtaking scenery. If you can, plan ahead by requesting a free guide. 2. Muskoka. There are many things to see and do in the Muskoka area. 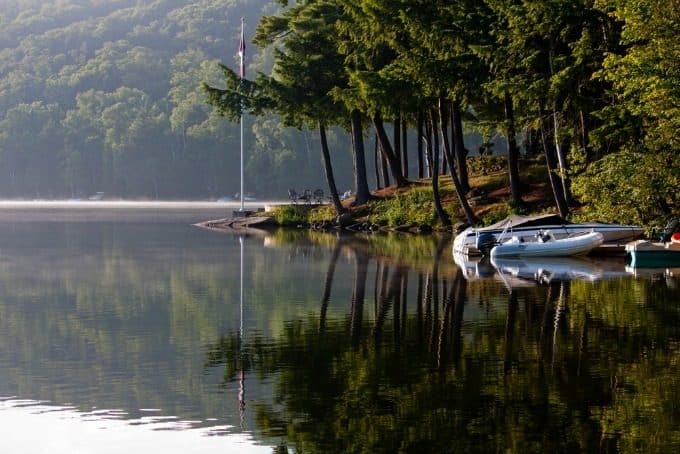 Recognized by National Geographic Traveler as one of the Top 20 Must See Places in the World, and as the #1 Best Trip of the Summer, Muskoka is one of those places you must see to appreciates its beauty. Hiking, stargazing, swimming, and shopping seem to be some of tourists’ favourite things to do while visiting. 3. CN Tower. The CN Tower is one of the tallest structures in the world. If you’re looking for a fun trip for the kids, this is it – but it’d make a good romantic getaway, too. 360 is one of Toronto’s finest restaurants, and offers a wonderful revolving view of the city. Featuring an award-winning wine selection, the restaurant is known for receiving several awards. Looking for a thrill? Take a walk on the Edgewalk, and enjoy the view from the glass bottom floor. Check out the CityPass to save money on admission to CN Tower and other attractions. 4, Algonquin Park. 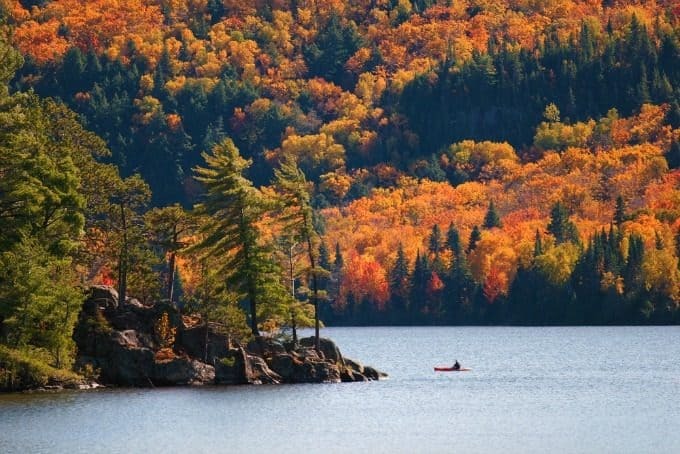 A nice little getaway outside the city, Algonquin Park has a little something for the whole family. With campsites next to the lake, and hiking (try Booth’s Rock Trail), it’s the perfect mini vacation. Home to wildlife throughout, you might get lucky and see a moose or two. Bring a camera! 5. Casa Loma. 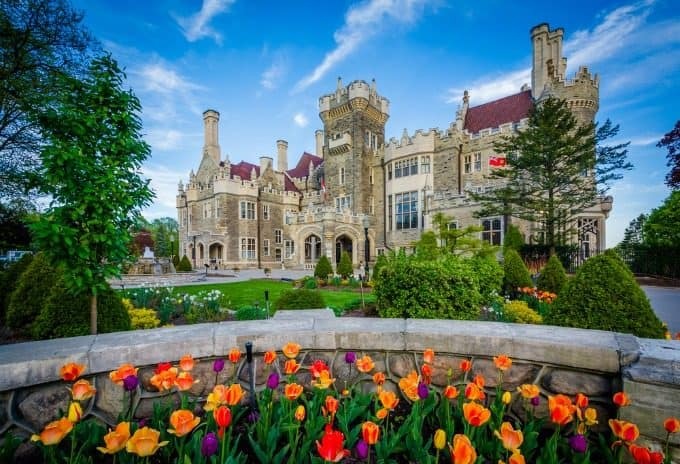 Take a step back in time and visit Canada’s most majestic castle, Casa Loma. There’s lots of walking, and tons of grounded to cover during the self-guided tours. Learn about the castle’s secret passages, towers, stables, and gardens. Make sure you go all the way to the top of the castle! You won’t regret it. 6. Kakabeka Falls. The second highest waterfall in Ontario, Kakabeka Falls offers year-round access for viewing. 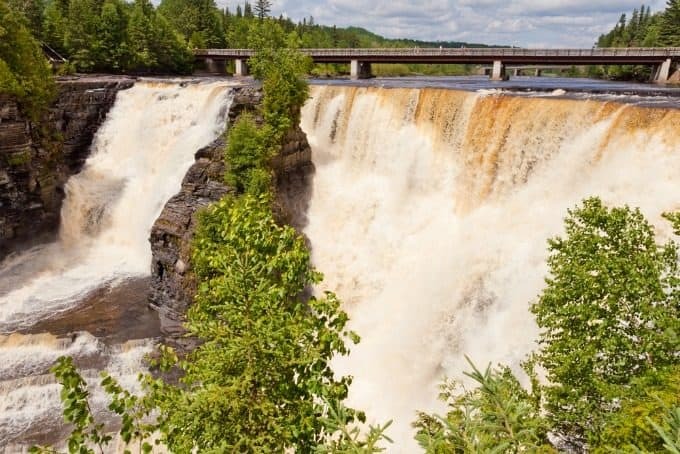 Besides offering the best views one could imagine, Kakabeka Falls has history as well: Once a historic route of the Voyageurs, with endangered Lake Sturgeon at the base of the falls, Kakabeka Falls is one of a kind. The Kaministiquia River has cut deep into the rocks to reveal 1.6 million year old fossils at the bottom of the falls. 7. Terry Fox Memorial. The Terry Fox Monument was sculpted and designed by Manfred and recognizes one of Canada’s best known national heroes. It depicts the provincial coat-of-arms, maple leaf, and beaver. It stands 9 foot high and is mounted on a 45-ton granite base. Rated #1 of things to do in Thunder Bay by TripAdvisor visitors, the Terry Fox Memorial is as inspiring as it is educational and statuesque. 8. Niagara Falls. A trip to Ontario would not be complete without taking in the breathtaking beauty of Niagara Falls. It’s one of my favourite spots to visit. 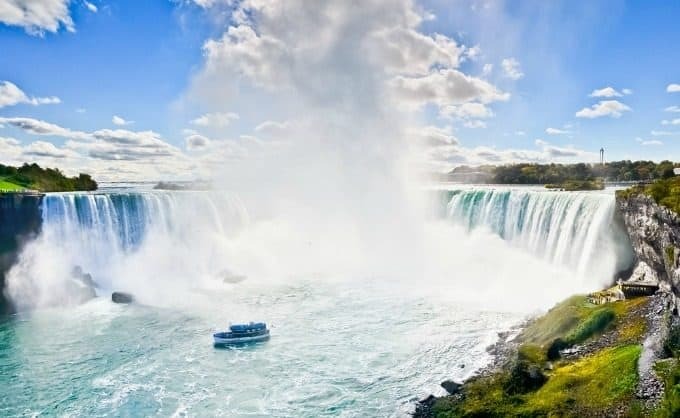 View all three waterfalls, the Horseshoe Falls, the American Falls and the Bridal Veil Falls. Millions of tourists visit every year so you’ll have lots of things to see and do while you’re there. 9. 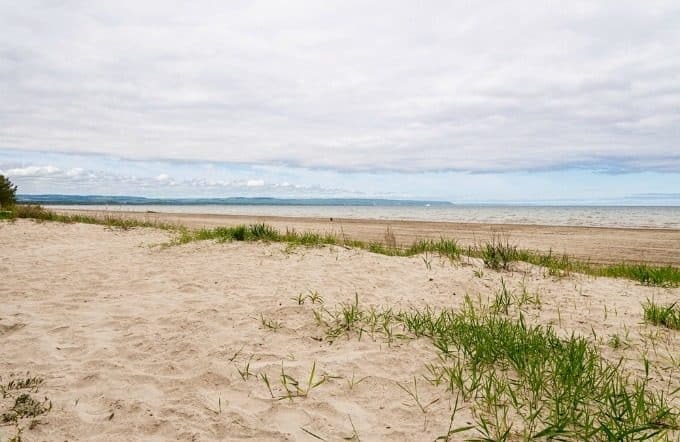 Wasaga Beach. This popular summer tourist destination is the longest freshwater beaches in the world at 14km in length. It’s located along the southern edge of Georgian Bay and is known for it’s warm, clean water and spectacular views. 10. Canada’s Wonderland. If you are a fan of theme parks, a visit to Canada’s Wonderland is a MUST. It’s a fun spot for kids and adults alike. Prepare for a ton of rides including lots of roller coasters, live entertainment, food, children’s areas, a water park and lots more. You might also like this Summer Bucket List. 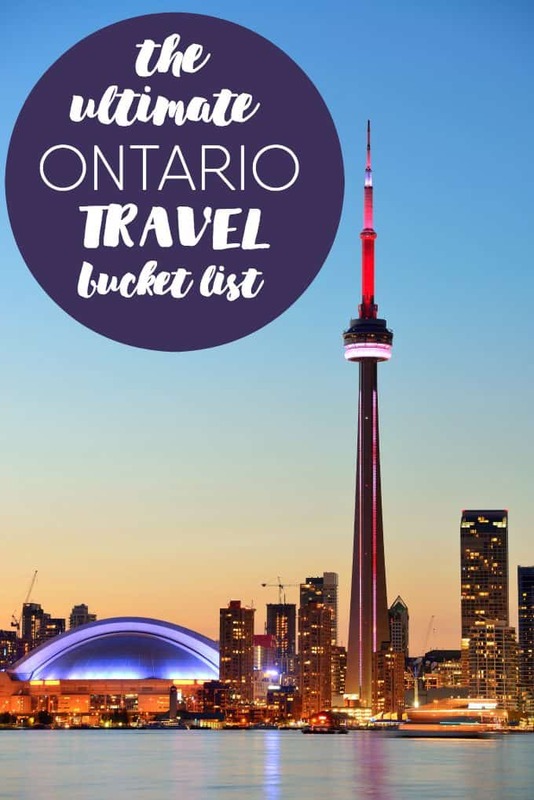 What spots are on your Ontario travel bucket list? I’ve never heard of 1000 Islands before. Looks absolutely gorgeous! I went to school at Queen’s but never actually went out to the 1000 islands. I should fix that! Thanks for the list! I am headed to the Southern Ontario, TO area this summer after my trip to NYC, so I will be sure to check it out. Thanks!